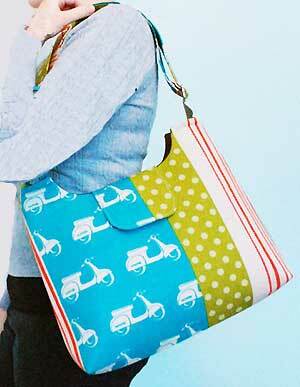 The Mabel Messenger Bag Pattern by Jenna Lou Designs is an easy to make messenger style handbag with instructions for an adjustable shoulder strap. 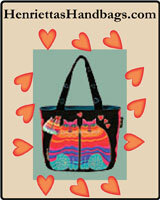 The Mabel Messenger Bag Pattern is a very versatile bag with an adjustable strap that becomes across the body! 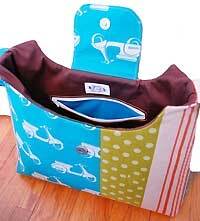 This bag is easy to make and the finished size is 12"H x 16"W x 3"D with a strap that extends to 43". 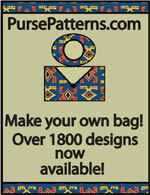 This PDF pattern has a total of 8 pages with 1 page of photos, 4 pages of instructions, illustrations, and photos, and 3 pages of pattern pieces.